From surfing blue waters to sitting in a shack with a book, a seaside escapade always conjures soothing feelings. 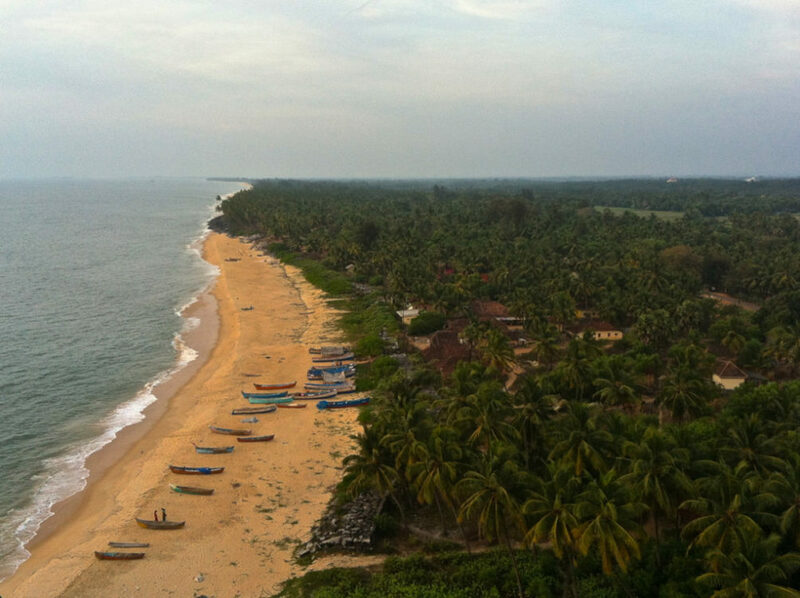 Winter is a great time to head off to some of Karnataka’s beach destinations. With the easy availability of car rentals, planning a trip can be done immediately. What is left is choosing the final destination. Below, we have listed five recommendations from Karnataka which will help you in planning your trip. Winter is a good time to visit Udupi, which is 403 km away from Bangalore via the NH75. This is the time when the weather is mellow, and visitors can catch a glimpse of some of the pretty islands off the coast of this temple town. Many have enjoyed dolphin sighting on a short boat ride away from Kaup Beach. Further, the main town of Udupi is a cultural delight. Spend some time admiring the wonderful architecture of the Krishna temple and the surrounding structures, some of which are close to a thousand years old. When in Udupi, do not forget to enjoy the local vegetarian cuisine. Not many know that the village of Mulki, an hour’s drive away from Udupi is becoming a hub for surfing. It is just one of many fishing villages where people can soak in the authentic traditional ways of life. Murudeshwar is another increasingly popular seaside destination, located on the northern coast around 510 km from the state capital. 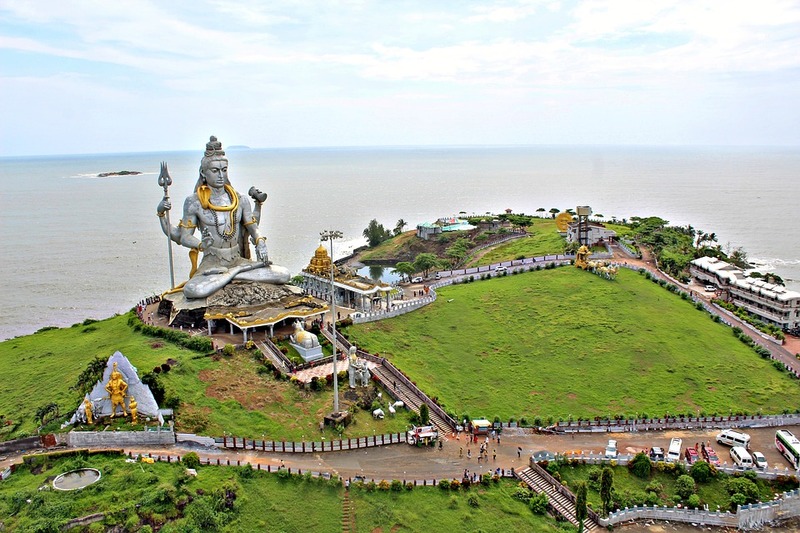 It is known for its iconic Shiva statue which looms impressively over the town with the endless horizon of the sea in the background. Apart from this impressive landmark, Murudeshwar is also famous for its old temple, which has a towering gopuram carved with intricate sculptures and figures. A short drive away, the 16th century Mirjan Fort is a good place for history aficionados to wander around in. One can also hop onto a boat and visit the Netrani Island, a scuba diving hub famous for its abundant marine biodiversity. 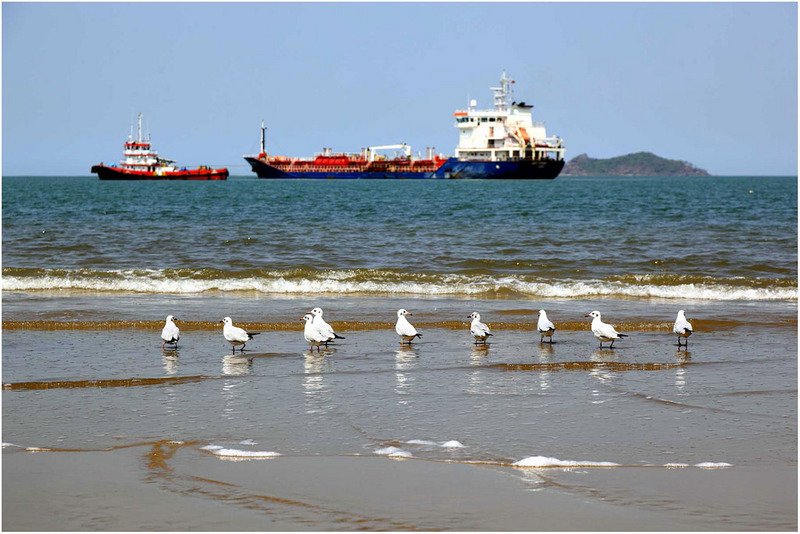 520 km from Bangalore, Karwar is a town close to where the Kali River meets the Arabian Sea. It is known for its breathtaking beauty, and its most famous shoreline is the serene Rabindranath Tagore Beach. One can step into the Warship Museum and learn more about the Indian Navy. Other famous beaches worth exploring include the Binaga and Karwar Beaches. There are many inland attractions ideal for wildlife enthusiasts and bird watchers – Anshi National Park is home to Bengal tigers, rare black leopards, Asian elephants, and more. Kurumgad Island, a short boat ride away from Karwar, is famous as a place for dolphin spotting. While waiting to catch these creatures frolicking in the azure water, visitors can also indulge in some entertaining water sports. There is a hilltop temple on the island and the view makes the climb worth it. Kurumgad Island is also home to a population of eagles. There are some kayaking spots in the forests around Karwar and the town of Dandeli, a couple of hours’ drive away, is a major spot for whitewater enthusiasts. Yana is a town that has some of the best climbing rocks in the region. Some of these rock formations jut out of the forest like sharp spires of a castle from a medieval fantasy. The landscape is certainly going to stimulate the shutterbugs. While climbing up some of the established routes, trekkers will come across caves and they will also get to enjoy lovely panoramic views. When in Karwar, one needs to tuck into the delicious seafood available in most of the restaurants. The ingredients are always fresh so the taste is unmatched. Fish masala and rava fish fry are two of the many local favourites. Gokarna is easily one of the most visited seaside destinations in Karnataka. It offers a mix of culture and recreation, from water sports and trekking routes to ancient temples and vibrant festivals. It has an abundance of beaches, each with their own distinct crowd and personality. Gokarna is a 485-km journey west from Bangalore via the NH48 and the route gets more scenic as one gradually crosses the mountain areas and descends into the sultry coastlands. 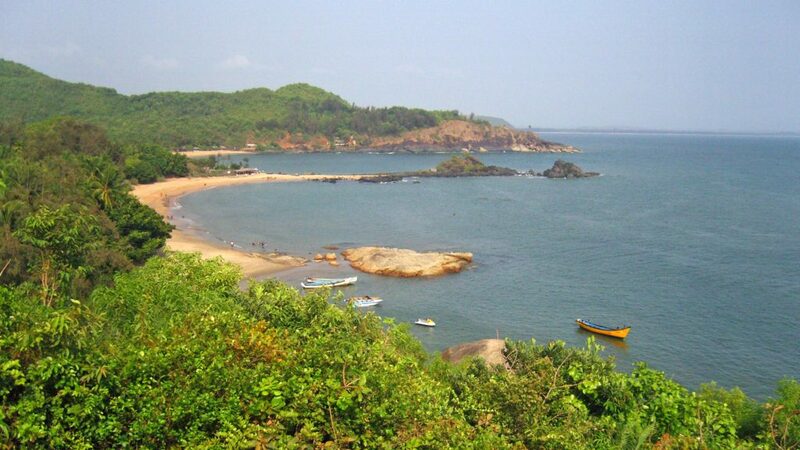 There are three main beaches on the Gokarna coastline – Om beach, the secluded Half Moon beach and Paradise beach. Om beach is the most famous one and it is where the best shacks and restaurants are. Some of the common dishes found there are chicken steaks and fried calamari, reflecting the cosmopolitan clientele that hit these shores. Kudle beach and the main Gokarna beach are the west-facing beaches and one can catch captivating sunsets from here. Close to the Gokarna beach is a good surfing area for those interested in the sport. One of the most fun activities in Gokarna is to climb up and down the craggy hills that skirt the coastline and descend into the next beach. For those who want to skip the workout, they can enjoy a short boat ride. Further, Gokarna is a hub for adrenaline junkies. Some of the activities that adventurers enjoy here include parasailing, jet-skiing and banana boat rides (on Om Beach). There are some diving sites also where people can snorkel or scuba dive. The old Gokarna town is a fantastic place to explore – history and culture aficionados will certainly enjoy wandering around the bazaars and temple complexes. Winter time is when the weather is best for walking around the town. The 4th century Mahabaleshwara Temple is the most prominent place of worship here. It is a very good example of Dravidian temple architecture, characterised by the gopuram or tower, sculpted and carved walls and pillars intricately cut into various designs and motifs. The inner sanctum where the deity is kept is open only to Hindus of Indian origin. Mangalore is a major commercial and cultural nerve centre on the Southern coast of Karnataka. It is a town that boasts a blend of different cultures, a perfect mix of east and west that reflects in its architecture and its celebrated cuisine. 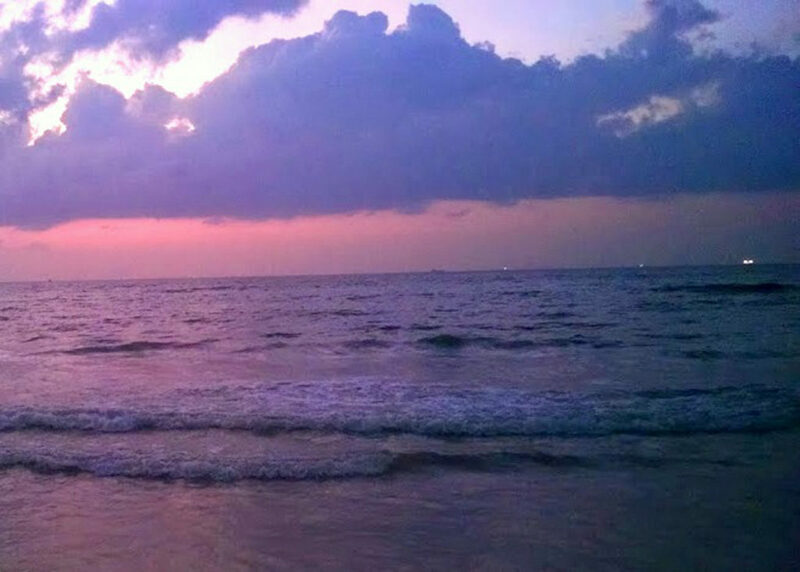 The beaches of Mangalore can inspire the hidden poets and writers with their immense serenity and impeccable beauty. Since it is close to the Mangalore Port, expect to see the occasional wandering ship against the blue horizon of the ocean from the Panambur Beach. During January, this beach is host to an international kite festival. The more secluded Tannirbhavi is a place for introspection and nature appreciation. One needs to drive here since there is no public transport and this adds to the exclusive charm of this beach. Ullal beach is one with a bit of history because of the presence of an old temple nearby along with the ruins of Rani Abbakka’s fort. There are many reasons why travellers are choosing a self drive car in Bangalore for all their road trips and drives. The privacy is uncompromised, and the extra space is always appreciated, especially when there is a large group. App-based platforms like Zoomcar offer the largest range of cars – one can choose between the latest hatchbacks, sedans, and SUVs. Then there is the 24/7 on-road assistance which is available for Zoomcar’sself drive travellers. It adds an extra security guarantee ensuring that there are no surprises in the journey except for pleasant ones.